Excel Dryer, Inc. is a family-owned and operated small business that has been manufacturing the finest American-made hand dryers for over 50 years and the only ones that are Made In USA Certified®, featuring the original, patented, high-speed, energy-efficient XLERATOR® Hand Dryers. 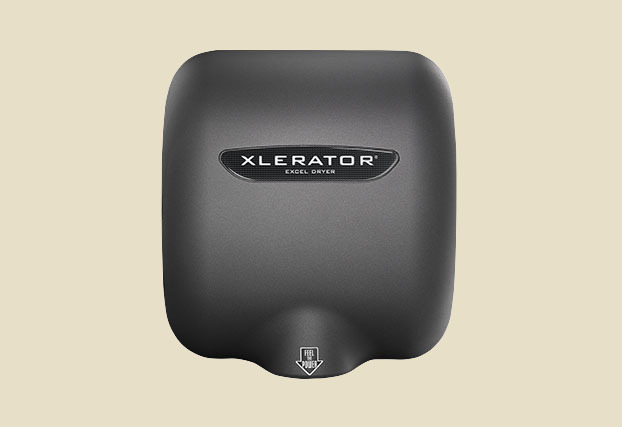 XLERATOR hand dryers’ patented technology completely dries hand three times faster (in 8 seconds) while using 80 percent less energy than conventional hand dryers. 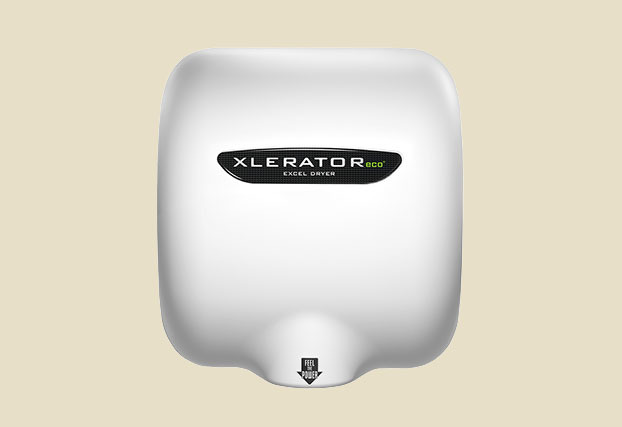 XLERATOReco® hand dryer uses new ‘no heat’ technology to dry hands in 10 seconds using only 500 watts, making it the most energy-efficient and environmentally-friendly hand dryer on the planet. 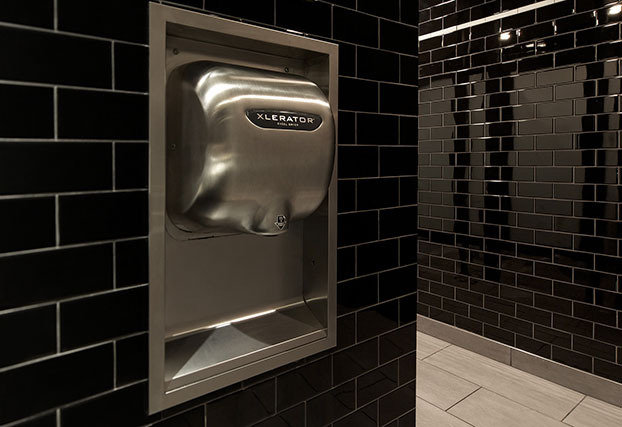 XLERATOR models represent a 95 percent (or more) cost savings when compared to paper towels and eliminates their maintenance and waste, while creating a more hygienic restroom environment. Both units are Made In USA Certified, Building Green Approved® and help facilities qualify for several LEED® v4 Credits. 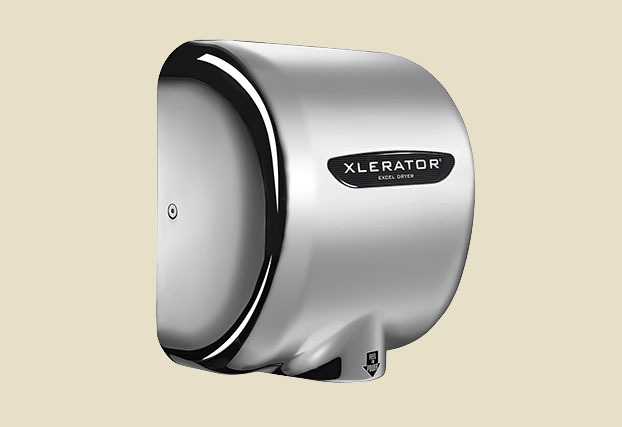 XLERATOR and XLERATOReco can be ordered with an optional 1.1” Noise Reduction Nozzle or new HEPA Filtration System and are available with the industry’s most complete line of accessories. Excel Dryer recently added the ThinAir® Hand Dryer is a high-efficiency model that is surface-mounted and ADA-compliant. ThinAir dries hands in 15 seconds,* uses 960 watts or less and has a slimmer profile to meet ADA compliance standards. ThinAir protrudes only four inches from the wall and, when installed at the recommended height of 37 inches above finished floor (AFF), is fully compliant with ADA guidelines. ThinAir features adjustable speed and sound control, on/off heat, an antimicrobial ABS cover and a washable pre-filter to extend the life of the unit. 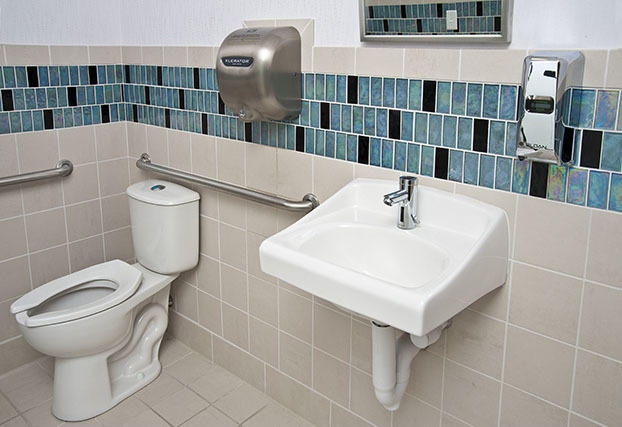 Optional Antimicrobial Wall Guards protect wall finishes from excess water, ideal for high-traffic restrooms. Please contact Excel Dryer for product literature, specifications, pricing, ordering assistance or to set up a product demonstration. 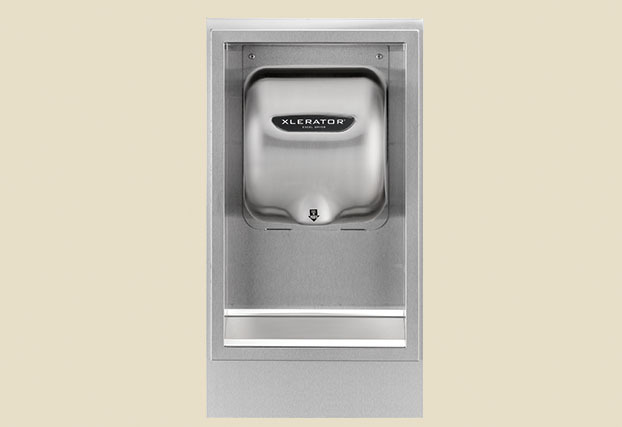 Longmeadow High School – Spec XLERATOR in your next school project. Touchless green restroom fixtures featuring XLERATOR in brushed stainless. 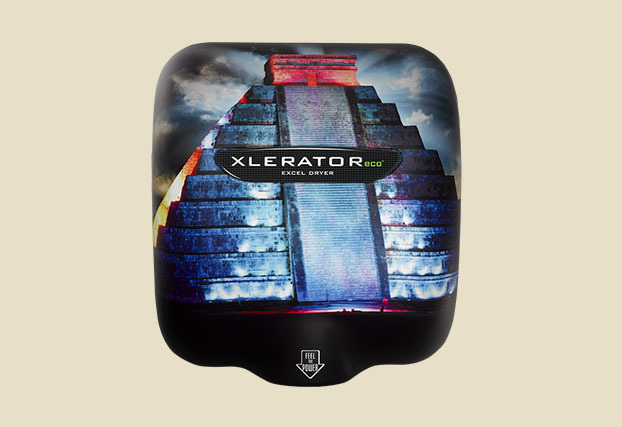 XLERATOReco 500 WATTS. 15 SECONDS. NO HEAT. Custom Covers - Add a logo, colors or sustainability message. XLERATOR hand dryer with ADA compliant Recess Kit and XChanger. Excel Dryer offers a 1.1” Noise Reduction Nozzle that lowers the decibel level 9 dB by reducing air deflection noise but increases dry time by approximately 3 seconds. The 1.1” Noise Reduction Nozzle is easily retrofitted into existing units or can be purchased with any new high-speed, energy-efficient XLERATOR® hand dryer models at no extra charge. 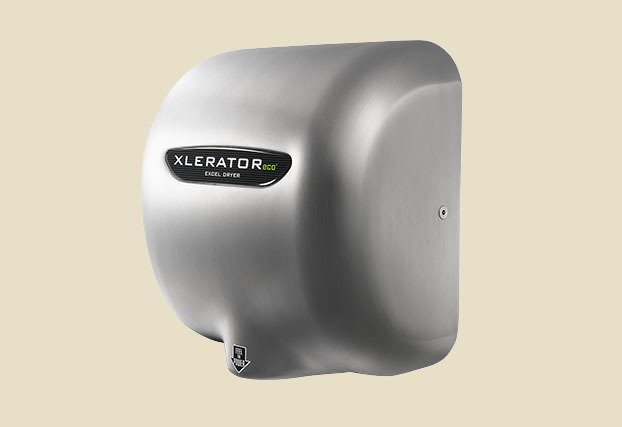 XLERATOR® high-speed, energy-efficient hand dryer models are available with a new control assembly to adjust the speed and sound level of the dryer. A dial adjusts the speed and sound levels of the dryer. Turning down the velocity of the dryer will result in turning down the heater, reducing energy consumption. The speed and sound control is easily retrofitted into existing units or can be purchased with a new dryer. Multiple voltage options are available, with the exception of 277V. Excel Dryer’s new HEPA Filtration System removes 99.97 percent of bacteria and particles at 0.3 microns from the air stream and is the only one with a washable metal mesh pre-filter for reliable performance and extended filter life. 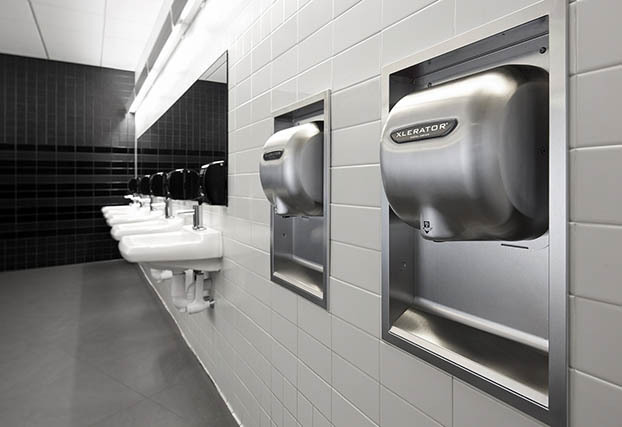 The HEPA Filtration System is easily retrofitted onto existing units or can be purchased with new high-speed, energy-efficient hand dryer models. 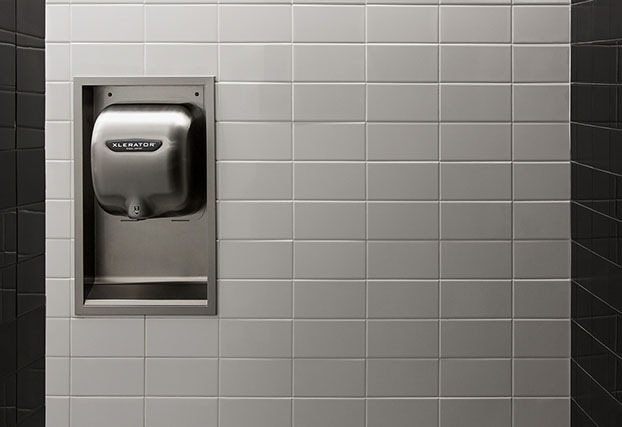 An ADA-compliant Recess Kit for XLERATOR® hand dryer models that adheres to the 4” protrusion ADA guidelines in a restroom walkway and helps keep water off the wall and floor. Excel Dryer’s XChanger® paper towel dispenser Retrofit Kit enables a complete transformation from paper towel dispensers and waste receptacles to an XLERATOR® high-speed, energy-efficient hand dryer. A panel is easily installed over the space left by a former paper towel dispenser and will not cause damage to the existing wall surface. The XChanger is also available in an ADA height compliant version. The opening to the unit is lowered seven inches to allow the Recess Kit and hand dryer to be accessible by users in wheelchairs (check local regulation for actual ADA-compliance). 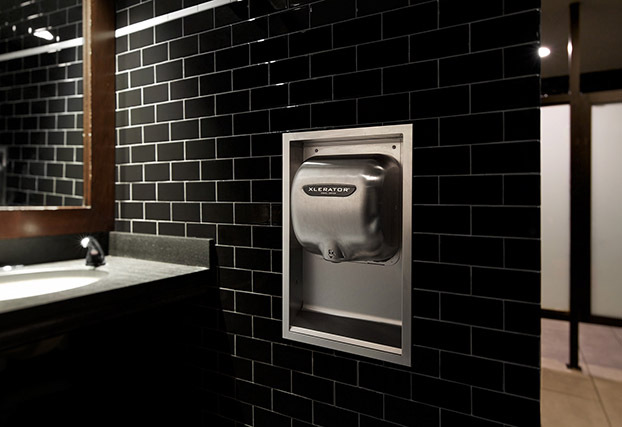 Excel Dryer’s anti-microbial Wall Guards are made specifically to fit underneath electric hand dryers to protect wall finishes from excess water. Thermoplastic 3M MICROBAN® technology inhibits the growth of bacteria that can cause stains on walls and surfaces. MICROBAN is built into the black and white Wall Guards so it will not wash or wear away and lasts for the lifetime of the product. Ideal for high-traffic restrooms, Wall Guards are hygienic and easy-to-clean. Wall Guards are also available in stainless steel. 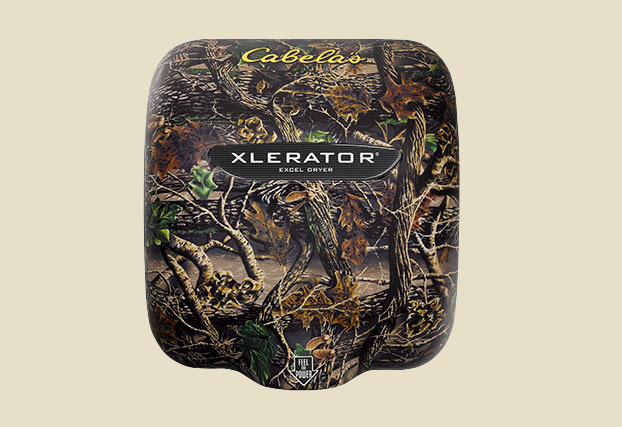 Excel Dryer offers the most cover finishes and options in the industry featuring exclusive Kolorfusion digital image technology to customize covers with graphics, colors, logos or a sustainability message. This new technology has been adopted by celebrated brands and organizations such as Dunkin’ Donuts, Starbucks, Coca-Cola, the New England Patriots and many more. The zinc die-cast models can also be painted with any custom color powder coat DuPont® paint color. Stainless Steel covers can be customized with digital images and PVD coatings such as Gold, Brass and Copper. Excel Dryer had a LCA Study conducted by Quantis, an international life cycle assessment research firm, which was peer reviewed to ISO 14040 Standards. The study determined that when compared to traditional electric hand dryers and paper towels (virgin and 100% recycled content), XLERATOR® reduces the Climate Changing Score (Carbon Footprint) of hand drying by 50%-75%.